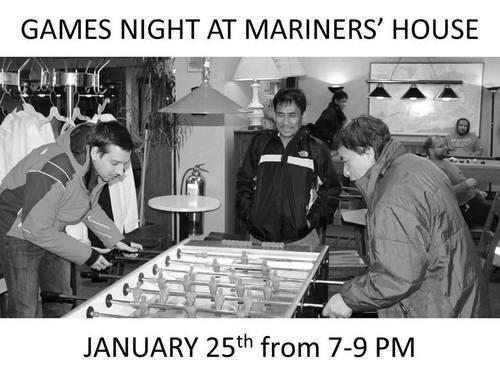 M2S invites all local Montrealers to join us at Mariners' House on Thursday, January 25, 2018 from 7-9 PM for a night of games with seafarers. Bring your ping pong, Foosball, pool and snooker skills! Come meet the people who deliver to our shores 90% of everything we own. The event is free and snacks are provided.